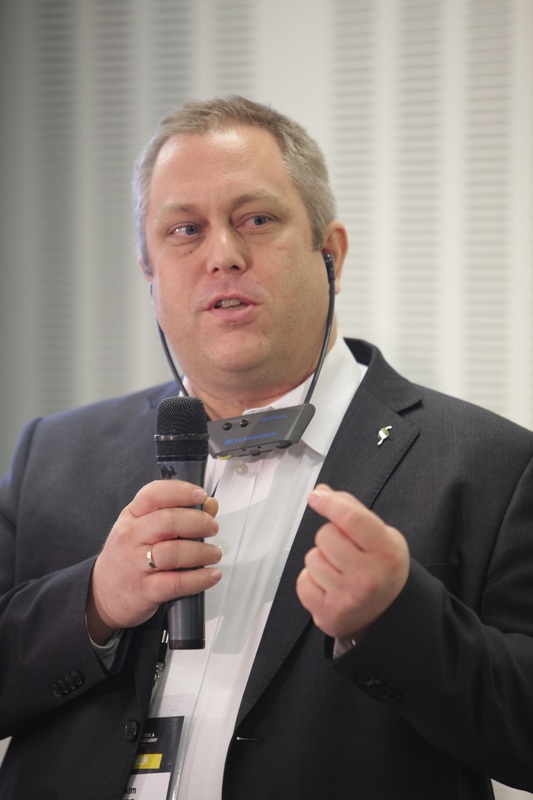 It has been a busy October week for the Sahara Forest Project CEO Joakim Hauge advocating restorative growth at conferences in Strasbourg and Oslo. 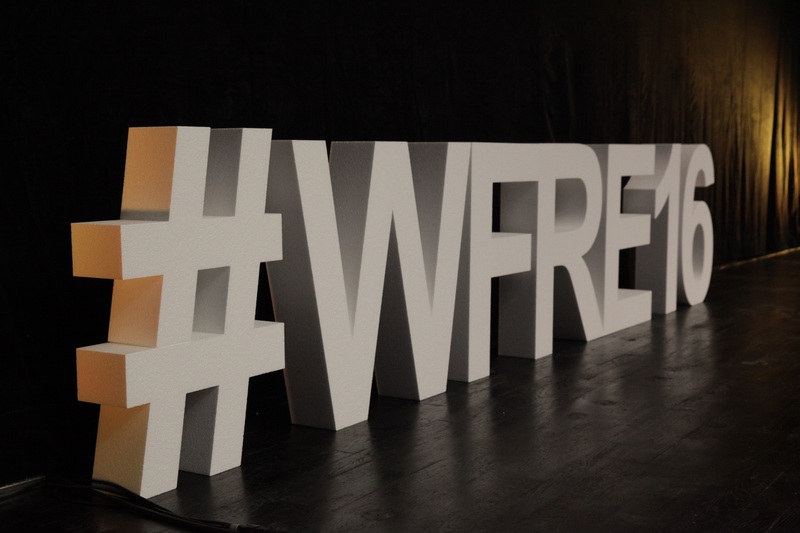 On October 11 2016, CEO Joakim Hauge spoke at the 10th edition of the World Forum for a Responsible Economy organized in Strasbourg, France. He was invited to present The Sahara Forest Project in the session presenting the best practices from across the world, in order to demonstrate that pragmatic and easily replicable solutions are available for promoting and developing a “responsible economy”. Watch the presentation and the session on this You Tube link. 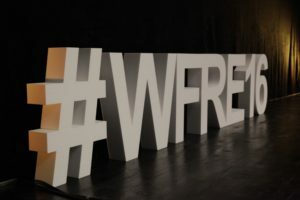 The general topic of 10th World Forum event was to focus on the responsible role of companies in society. After the presentation, Joakim Hauge discussed restorative growth issues with the former French Minister of Agriculture, Philippe Vasseur, who is now the president of the World Forum for a Responsible Economy. Also participating in the discussion was former French Minister of Culture and former Mayor of Strasbourg, Catherine Trautmann. 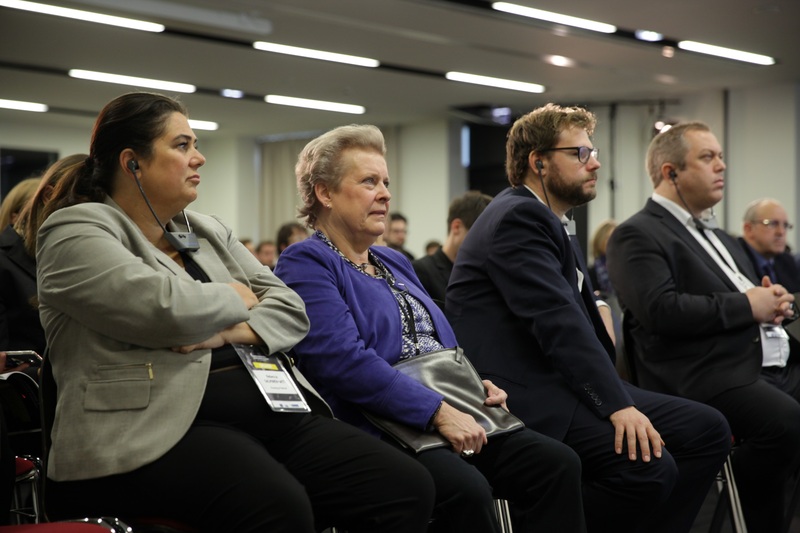 The audience was active with interested questions from the audience, and they were active using social media to express their fascination of the work of the Sahara Forest Project. 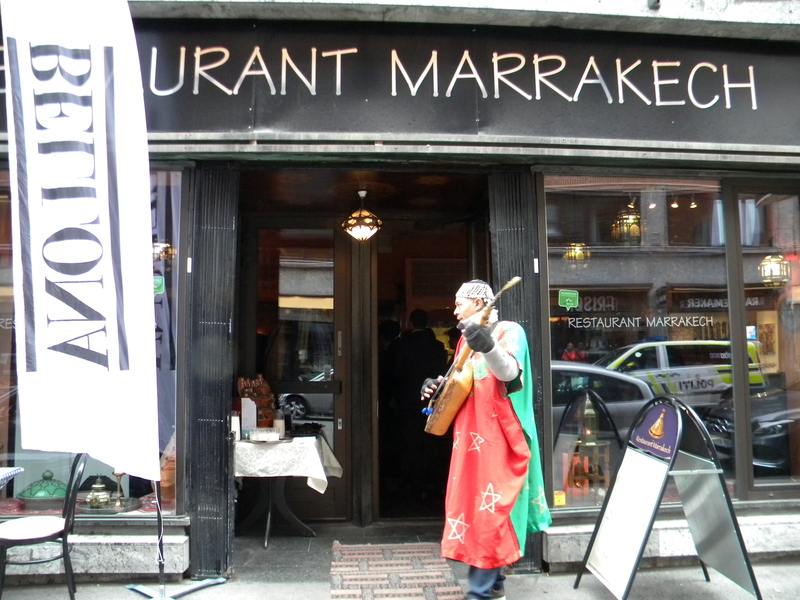 The event was co-organized together with the Moroccan embassy in Oslo, and found place at the best Moroccan resturant in Norway: Restaurant Marrakech in central Oslo, offering the best from the Moroccan cuisine accompanied by Moroccan Folk music. The 50+ invited guests from business, politics, NGOs, media and resarch listened climate summit to remarks from Norwegian Foreign Minister Børge Brende, Sahara Forest Project CEO Joakim Hauge, Norway’s chief climate negotiator Henrik Hallgrim Eriksen, Charge d’Affaires a.i. 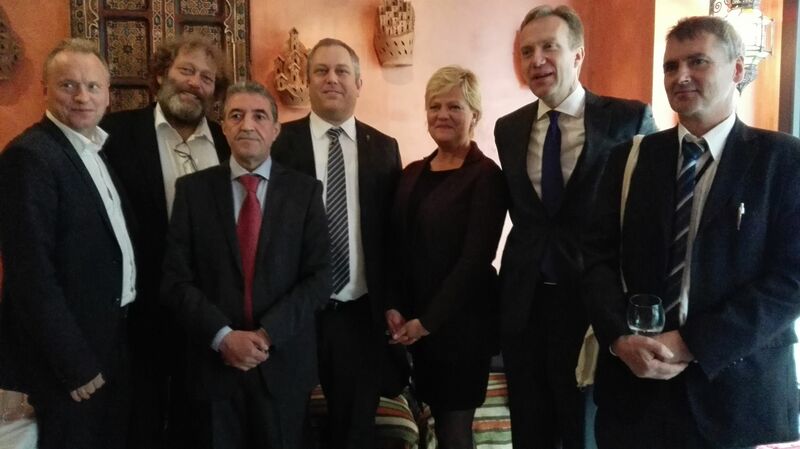 from Morocco’s embassy in Norway Oustitane El Houssain, Oslo Governing Mayor Raymond Johansen, Head of CICERO Climate Research Kristin Halvorsen, and Bellona President Frederic Hauge. -The need to share knowledge and be (carbon negative) solution-oriented. -Be the change we want to see in the world. Prove that authorities, scientists, environmentalists and industrial companies may collaborate on sharing the same messages and work together to achieve pragmatic results. CEO Joakim Hauge told the guests about the latest developments on the Sahara Forest Project work in Jordan and Tunisia. 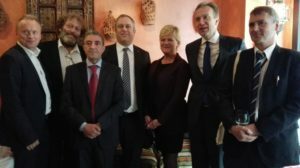 The Norwegian Foreign Minister Børge Brende applauded the efforts of The Sahara Forest Project, combining green jobs creation and profitable production of food, freshwater and clean electricity. On October 13, Joakim Hauge spoke at the 6th annual Nordic-African Business Summit at the Radisson BLU Scandinavia Hotel in Oslo, Norway. In total 38 speakers and approximately 400 African and Nordic business delegates discussed how best to invest in the rapidly growing cities in Africa and one of the main topics was how to ensure a sustainable food production for the growing population. Norwegian Minister of Foreign Affairs Mr. Børge Brende and Finnish Minister for Foreign Trade and Development, Mr. Kai Mykkanen were some of the distinguished speakers, and Mr. Thabo Mbeki, former president of the Republic of South Africa, who focused his speech on the African State of Affairs and what it means for the future development of the continent. 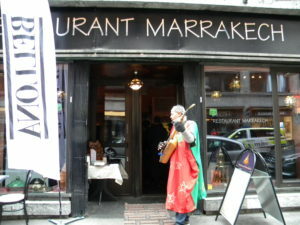 More than 20 ambassadors from African and Nordic countries took part at the event. Joakim Hauge highlighted the SFP work taking place in Tunisia, and gave the audience a presentation of the the exciting progress being made in Jordan.